If you or someone you know is being held in Bedford, VA, Affordable Bail Bonding will send professionals straight to the jail to offer bail. No matter what landed you or your loved one in jail, when you call Affordable Bail Bonding, you get low-cost, low-pressure service. Competing bail bond companies ask for a walking fee, not us. With just a tenth bond paid, you can get out of jail in the same day. For most charges, full bail or even a chunk of bail can be extremely expensive. If this is the case for you, Affordable Bail Bonding offers financing so you can make installments on the initial down payment or bail as a whole. While the size of your bond and financial history may change your rates, we can work with you so you get the best deal possible. The professionals from Affordable Bail Bonding are always dependable, friendly and confidential. We won’t shame you for your charges and work with you make sure you can pay off your bond and avoid more time in jail in the future. 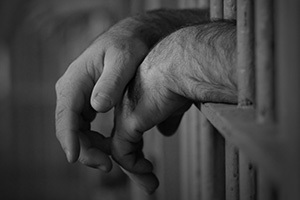 It only takes 10 percent of your bail amount to leave jail today with the help of our bondsmen. If your bond is $10,000 total, all you need is $1,000. If the money isn’t available, we’ll set up a payment plan. All we want is your pledge that you’ll be present for your trial and accountable for the remainder of your bail money. Being arrested isn’t something people ever strive to achieve in their lives but that doesn’t mean it doesn’t happen. With that said, if you find yourself behind bars in Bedford, there is no doubt that you will begin looking for solutions to get out of jail immediately. While you certainly have options other than hiring a bondsman, we aren’t sure those options are the best. If this is the situation you find yourself in, we would suggest that you reach out to a bail bond company first and foremost. This is by far the best option you have if you are wanting to get out of jail quickly without having to spend every penny you have to your name. When you contact the bondsmen at our bail bond agency after being arrested in Bedford, you will be able to obtain a bit of serenity as we begin working quickly to get your bail amount paid. It is the goal of Affordable Bail Bonding to remove the financial burden that comes with an overwhelming bail amount allowing you to focus on moving on with your life once you are released from the jail. We offer fast and confidential service so that the burden of your arrest doesn’t have to weigh so heavily on you. Affordable Bail Bonds cares about helping you get out of jail. No matter if it’s for you, your partner, your child or a friend, we act fast and at an affordable price. You can count on us to pick you up from any Bedford jail quickly. Complete the form above to send a bail request today.